Ever since the mid-1700s, Social Scientist, including economists have been arguing about the best way to pay people for their labor. Of course since then, there have been many who have not paid at all vis-a-vis slavery. Trucking however, has almost always paid by the mile. The concept of paying for the mile is called "Piecework" pay, and is not unique to trucking throughout American History. Piecework Pay was also used for coal miners, steel milling, the textile industry, and a host of other factory-type jobs until the Great Depression in 1929. What is unique about trucking is that it's one of the last industries that still uses "Piecework" pay. Piecework Pay is an economic theory that actually has its roots in Karl Marx (yes, the father of communism). Marx's idea of "surplus labor" was basically that anytime a worker earns his "keep" - enough money to sustain his family, then any extra work that is done is solely for the profit of the company. The result (according to Marx) was that companies would work people 24/7 if they could for profit. By paying people by the "piece" you would maximize surplus labor, and the company would have a greater profit without shelling out too much money to workers. Today's economic ideas of Surplus Labor are a little different, though still rooted in Marx. Surplus Labor today is that anytime someone is standing around doing nothing in the workplace, Labor is "surplus" - cutting into profits, because people are being paid to not produce. All industry has Surplus labor - it's unavoidable as factory machines break down, power outages still happen, etc. However, companies today seek to minimize surplus labor. This is why there are sometimes "unexplained" layoffs. Trucking does this perfectly: it eliminates all surplus labor by only paying people when they are producing - when the wheels are moving. It's Piecework pay. In 1938, as part of the New Deal, FDR passed the Fair Labor Standards Act, or otherwise known as the Minimum Wage Law. It was designed to prevent companies from exploiting labor, creating a fair pay system, and improving workplace safety. This was especially important to Coal Miners and Steel Millers as there had been many violent labor uprisings to oppose deadly working conditions for low pay. Truckers however, vehemently opposed Minimum Wage under the Fair Labor Standards Act. Remember, in 1938, there was no DOT , no Hours-of-Service regulation, and most truck drivers were hauling Farm-to-Market freight; meat, milk, and grains. General Freight was largely controlled by local drivers under Teamsters, and wasn't nearly as abundant. Farm-to-Market drivers were making a decent living in the middle of the Great Depression by being paid by the mile. Truckers saw minimum wage as a cap on their income, as they would often driver 24 hours or more to haul as much food product that they could. This was Karl Marx's idea of Surplus Labor at it's finest. FDR wasn't opposed to this, as he had a starving country to feed. 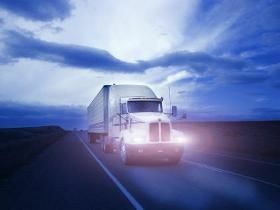 FDR exempted trucking specifically from the Fair Labor Standards Act (minimum wage law), and placed responsibility for driver pay under the Interstate Commerce Commission (ICC). Driver complaints over pay went directly to the ICC. In 1980, Congress passed the Motor Carrier Act which stripped the ICC of its authority over trucking, and deregulated the industry. However, Congress never removed the trucking exemption for minimum wage from the Fair Labor Standards Act. The result is what we have today: a Piecework rate of pay, where the driver doesn't get paid unless the wheels are moving - when he/she is producing. The difference in today's trucking world is that incomes are capped by the Hours-of-Service rule, and general freight is available to anyone who wants it. Farm-to-Market haulers are "specialized" now, and the nation isn't starving anymore. Does it make any sense to have a per-mile rate? How Much Would We Be Making By The Hour? Some economists from the University of Michigan's Center for Labor Studies got together and crunched some numbers in 2006. They found that with the Hours-of-Service rule, based on a 70 hour maximum (log lines 3 and 4) week that if company's paid drivers $15 per hour, they would make about the same as they would under the per-mile system on average. With today's onboard e-logging, it would make it easy for companies, right? Not so fast! Is unloading a truck worth $15 per hour? Is pre-trip worth $4 (for 15 minute increments)? Is fueling worth $15 per hour? Would an Owner Operator pay someone $5 to fuel his truck for 15 minutes? Would someone accept $5 to fuel a truck? This is the argument that companies use to keep the per mile system. For a factory worker, is it worth $20 per hour to push a button all day? This is the counter argument. Of course companies are going to want to maintain the per mile rate because they know that they've eliminated all surplus labor. At the same time, of course drivers are going to want an hourly system to be like everyone else that works with limited hours. Whether or not trucking should be paid on the per hour or per mile system is going to up to the new drivers. What are they going to decide their labor is worth, and are they going to demand it? From a company's standpoint, it's all about eliminating surplus labor, and thus "overhead" costs in labor. For most companies the driver is the extension of the machine - the truck. The driver doesn't move without the truck, and the truck doesn't move without the driver; there are necessary costs to both.